Yesterday new CoD: Black Ops 2 DLC for Xbox 360 appeared in the shops. This add-on consists of several maps for the multiplayer game, one map for zombie mode and brand-new weapon. We have already described you the main features of this DLC, but today we would like to show you its newest trailer. 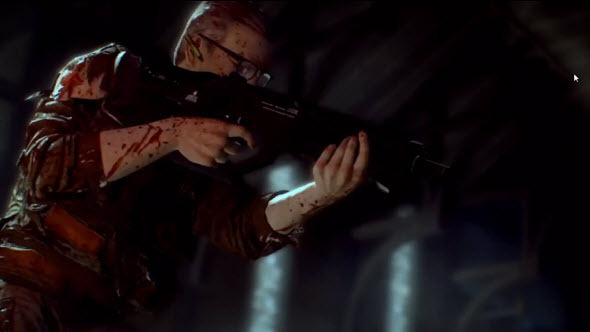 New trailer for Vengeance DLC demonstrates the map for zombie mode of Call of Duty. This map is named Buried, and it is set under the ground of a little Old West town. Four new characters are trying to survive here, and your task is to save them and to kill as many zombies as possible. Each character in Vengeance DLC has its own story and features, and knowing the strong and the weak sides of these people, you can create the winning strategy of the game. Vengeance DLC also presents you the brand-new weapon - Mark II. It is a powerful ray gun that is really necessary during hot battles against the walking deadmen. To see this gun in action and to evaluate the beauty of Buried map, we advise you to watch new Vengeance DLC trailer that was published yesterday. Vengeance DLC is going to be released for other platforms too, but the developers haven't announced their exact release dates yet. So for now only lucky owners of Xbox 360 can plunge into new Call of Duty adventures.